16.00 Hacking ends. Presentations begin! Way Out West 2014 starts. Everyone presenting a hack gets a free VIP pass to the festival (7-9 August). Eagerly awaiting the jury's decision. Presentations are due soon. Iiih! Ladies and gentlemen, push your last panic commits! If you can't find your team inside the list, contact us ASAP. You know what?! The dashboard does now AUTO REFRESH. I know, right?! I thought it was a nice feature to have, now when it's like .. four hours left of the hackathon. There's some GitHub commit hooks and Socket.io involved. Good mooooooorning haaaackers! Welcome to a new shiny day of code! Hope you're all fine, whether you're putting the final touches or doing the godforsaken refactor. We (the admins) will be here all night, so you (the hackers) are free to stay through the night if you like! If you go home, remember to keep your name tag, and also check the on call number when you want to come back in. Nice to meet you. I am Daniel. I speak iOS since 2008. Came late to the hack, i.e. without a team right now. Will code for food and the occasional beer. ... will arrive around 19. We've estimated around half a pizza per person. We'll pop out some chilled beer for those who want at the same time. Those of you who plan on doing something that require more than the standard HDMI video and sound for your presentations, please contact us ADMINs asap so we can test everything out before the real presentations. 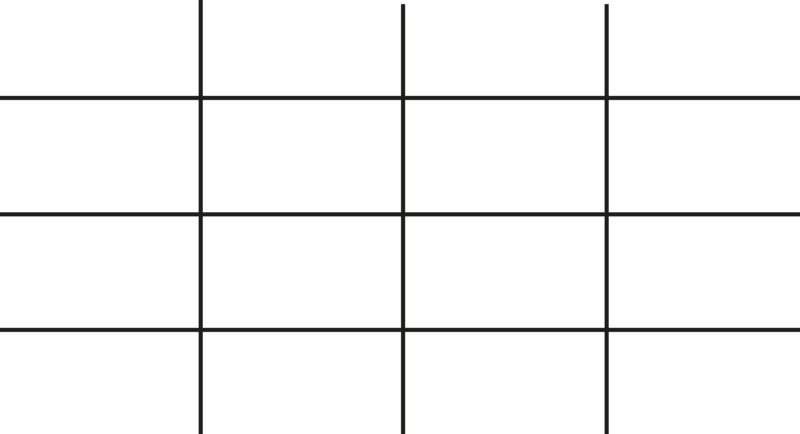 A team asked us for the ratios and grid of the tv wall in the office, for being able to place stuff on screen when doing presentations or similar. Might be useful for you who're building festival related stuff. Happy hacking! Simply checkout the different wraps on Aptit.se and select it in the form, and we'll order it for you for Wednesday's lunch. Please order before 16.00 today! Give us a shout with any questions. That's all, as you were. Updated schedule, Jury will introduce themselves a bit more at noon tomorrow. 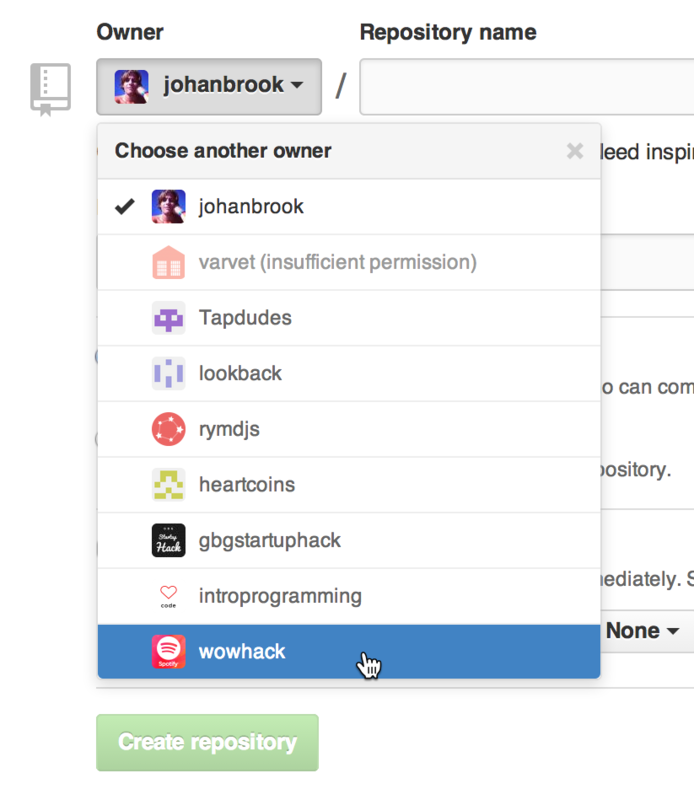 When you're creating repos, be sure to put it under the wowhack organization at GitHub. Remember to choose private repo! 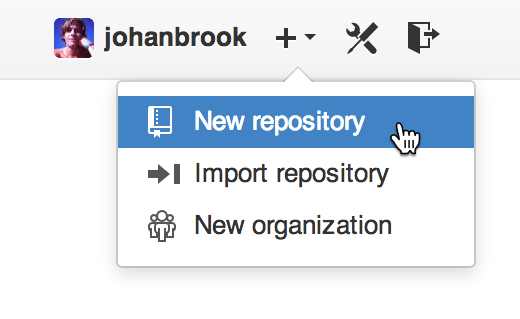 You should be able to view the repo from the organization page now. Welcome to the hack! We're about to begin with talks shortly, and after that you'll get the chance to form teams and look for more members if you need to. WiFi details are available in the left sidebar. Contact info is available in the drawer to the left. We've got people from GitHub, Microsoft, Songkick, Musixmatch and Spotify speaking about their cool APIs. Don't forget to create teams! Grab an admin for help. We’d like to run through some of the highlights from the last email just to make sure you’re all aware of where to go tomorrow, and when! We’d like to introduce the Dashboard we’ll use for the hack http://wowhack.github.io. Be sure to bookmark this page and check it for updates during the hack. Useful information will be available on that site. The venue is Spotify HQ, Vallgatan 22 (Map). You should arrive at 9:00 tomorrow (Tuesday Aug 5th) to check in and receive login for your private Github team repositories. We’ll also have a brief introduction by the organisers. Those of you who do not have a team will after this intro get a chance to find one. If you are unable to attend tomorrow, please reply to this email now and let us know! We have a lot of people on the waiting list for this event. Also, if you have allergies or other special needs, please reply to this email so we can work around any issues. ... to the Way out West Hack for 2014, hosted at the Spotify HQ in Gothenburg. When you arrive at the office on tuesday morning, we assume that you want to get started on hacking. To get going with this, we advice you to refer to the checklist to the left. If you have questions, please read through the info mail that was sent out on the 23rd of July. Or just grab someone with an ADMIN print on their back and ask them for help. Made with love by Johan, Anton, Paolo and Owen. Spotify 2014.